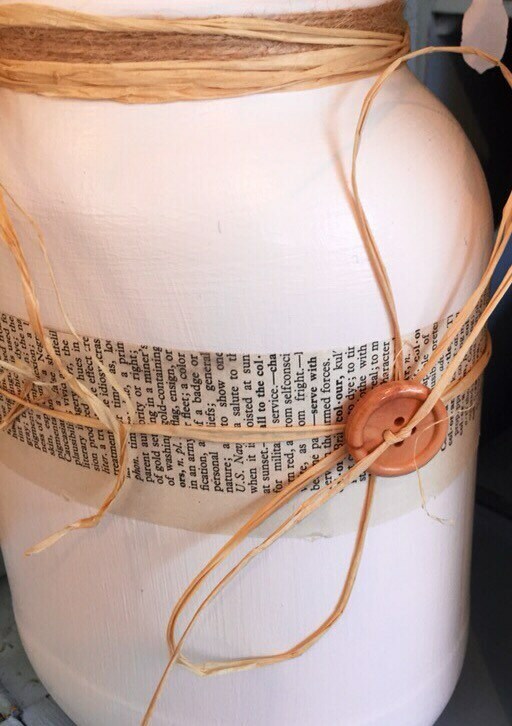 This is a lovely large cream, upcycled jar, decorated in a rustic style using twine, raffia, wooden buttons and vintage dictionary paper. 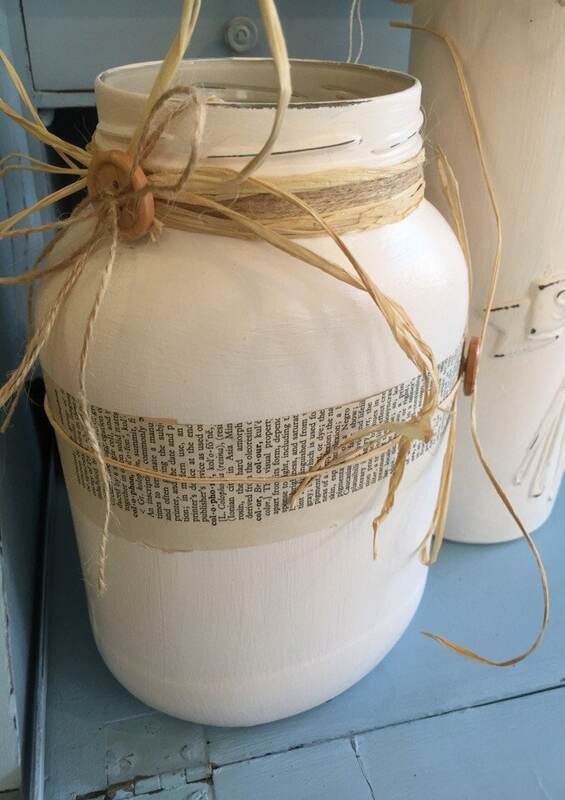 This jar has been painted using a branded eco friendly chalk paint and varnished for a smooth durable satin finish so can be used as a flower vase for floral arrangements or on its own as a decorative accent piece. Use as a flower vessel, vase or beautiful on their own to decorate a farmhouse kitchen, rustic Mediterranean or cottage chic table setting, a hall table, mantlepiece or shelf. This glass vessel would make a lovely gift for any occasion. My chalk paint of preference is Frenchic Furniture Paint which has no hidden nasties and is an all natural, environmentally friendly, chalk and mineral paint. It is ZERO VOC and SOLVENT FREE with no odour. Frenchic Furniture Paints come in 25 inspirational colours, designed for painting furniture it gives a smooth chalky finish. It is a thick and rich paint with superior coverage. All frames are then waxed to a smooth and silky finish. 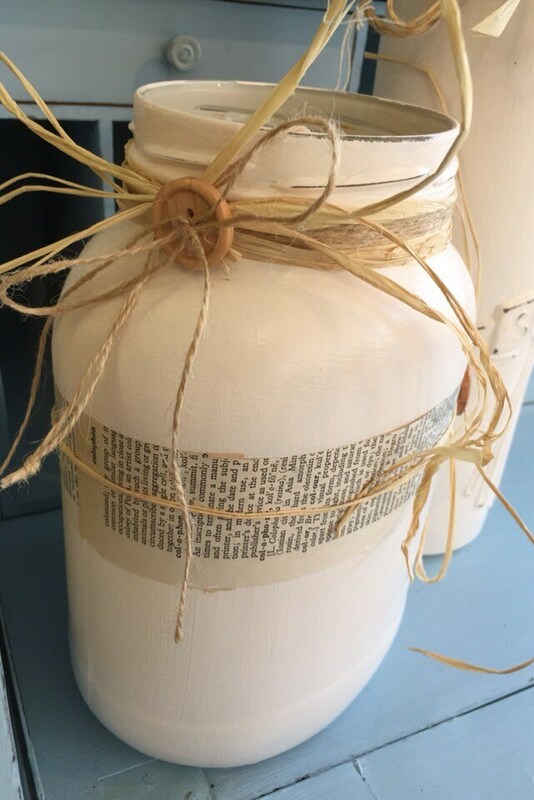 SHIPPING - Anthi Leoni Decor ships from the UK - Please provide a mobile number if you would like an ETA of delivery from the courier.